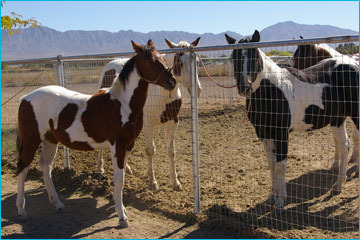 These last photos were taken in October 2007. 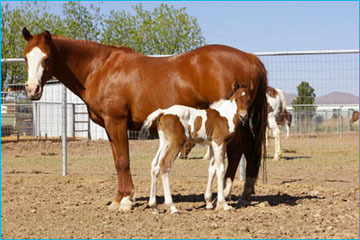 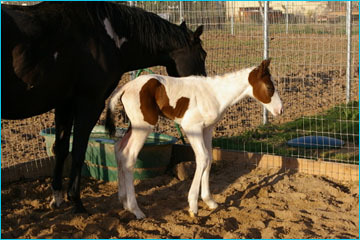 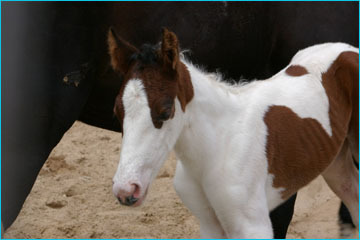 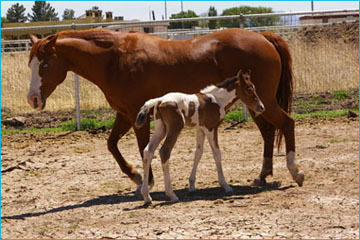 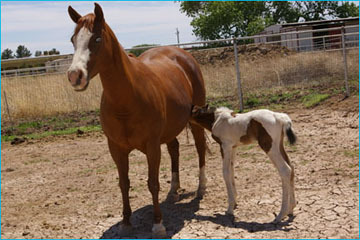 This years first baby is a 2007 APHA bay tobiano filly. 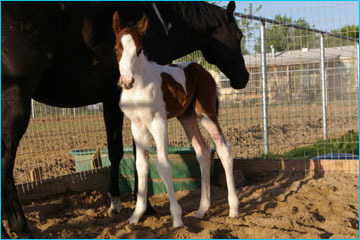 She is by Pinto World Champion Reiner Kings Streakn Star out of Ima Royal Gunner. 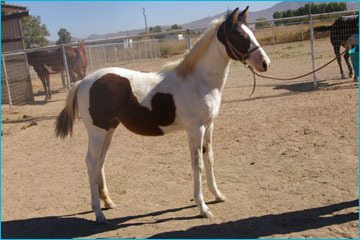 Ima Royale Gunner is a 1999 APHA sorrel solid mare. 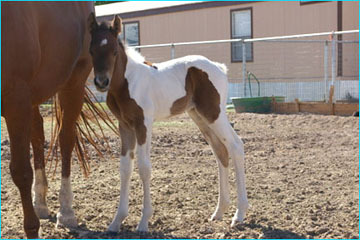 Ima Royal Gunner, is by World Champion, Colonels Smokingun and out of Royale Orleans. 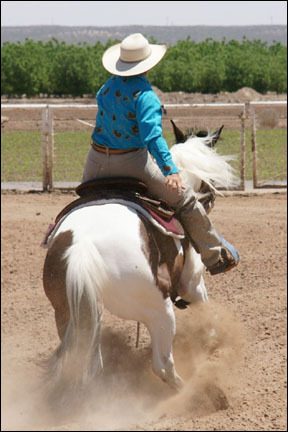 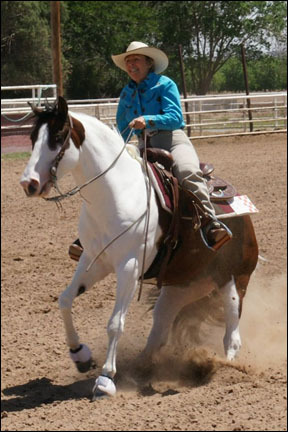 Gunner is an APHA World Champion Reining Sire, USET Champion and a member of the NRHA Hall of Fame. 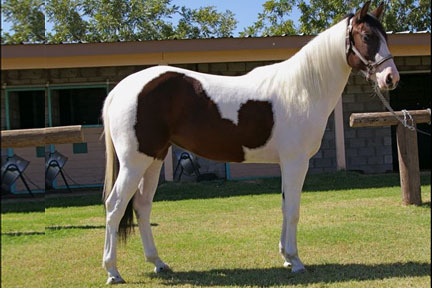 Royale Orleans was APHA Reserve World Champion Open Reiner behind Gunner in 1997. 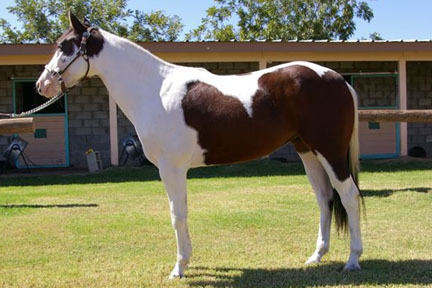 Click here to view the pedigree for Ima Royale Gunner. 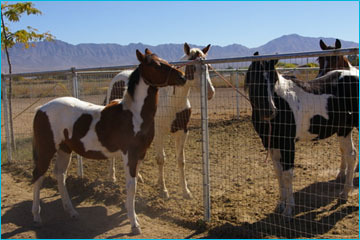 The next 2 photos were taken in October 2007. 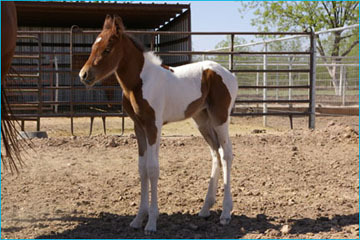 KSS Me Kate is a 2007 APHA bay tobiano filly. 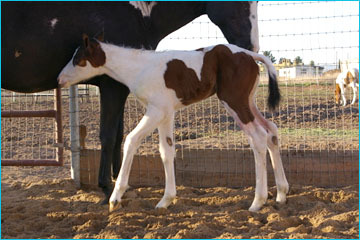 She is by Pinto World Champion Reiner Kings Streakn Star out of This Painted Lady. 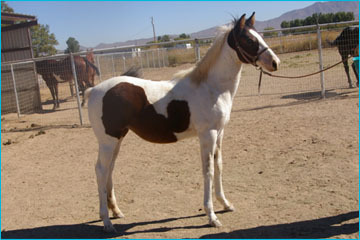 This Painted Lady is a 1990 APHA black overo mare. 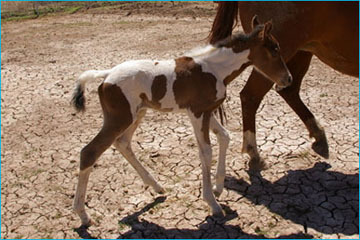 This Painted Lady, is by Mr Bay Cee Jay and out of This Chicks a Bug. 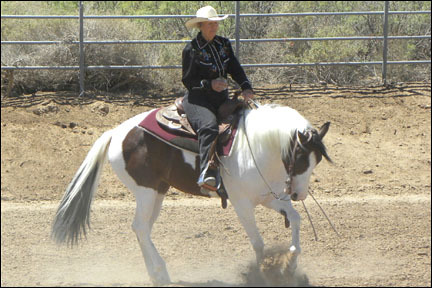 This Painted Lady was a top ten finisher at the APHA World Show in Reining in 1996 through 1999. 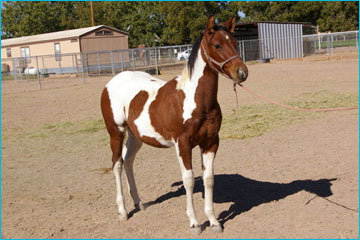 Click here to view more information on This Painted Lady.